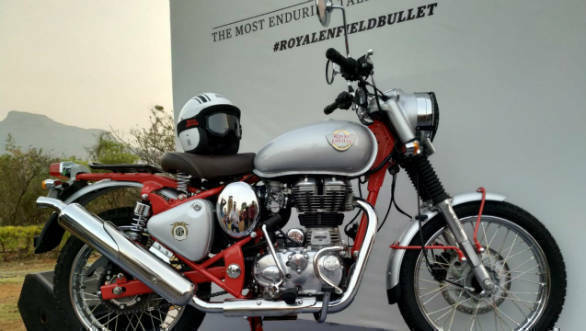 Royal Enfield has launched the Bullet Trials 350 and Bullet Trials 500 at Rs 1.62 lakh and Rs 2.07 (ex-showroom). 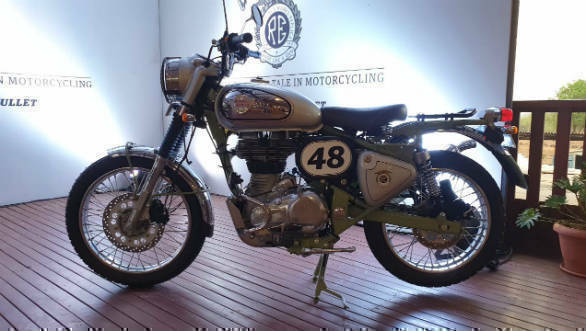 The Trials are, essentially, the off-road capable versions of the Royal Enfield Classic 350 and Classic 500. They feature a single seat, a luggage carrier in place of a pillion seat, fork gaiters and knobby tyres for better traction while riding off road. The exhaust is also upswept for better water wading ability. The front and fenders are shorter and raised to account for wheel movement, that's courtesy the extra suspension travel. It's a design element that harks back to the 80's Trials motorcycles. Another distinguishing element is the painted chassis and main stand that contrasts with the colour of the body panels. The motorcycles get a dual channel ABS, and use the same engines as on the Classic versions. The 346cc and 499cc single-cylinder engines churn out 20PS/ 28Nm and 27.5PS/ 41.3Nm respectively. Both motors are paired to a five-speed transmission. The trials are mechanically identical to the classics. The engines produce the same power and torque, and there is no change to the gearing as well. Bookings for the Trials 350 and Trials 500 have begun.